Thanks for submitting your query. Common fired clay brick is one of the important building materials in India. Bricks are used as walling material in most residential and commercial buildings. They are also used for other applications, e.g. road and canal construction. India is the second largest producer of bricks in the world and is next to China in terms of brick production. The estimated brick production during the year 2000–01 was 140 billion . The brick production is estimated to be growing at a rate of 4% per year. Kusum Brick Field is located in Hapur, District. Ghaziabad (UP) and is owned by Mr Sanjay Dadoo. Mr Dadoo belongs to 3rd generation in the business. 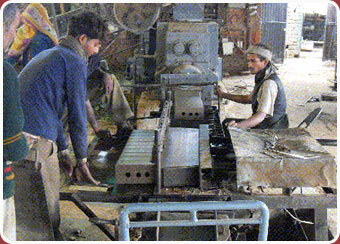 His brick kiln unit has a production capacity of about 50,000 bricks per day with a general brick production season between December to July during the year.